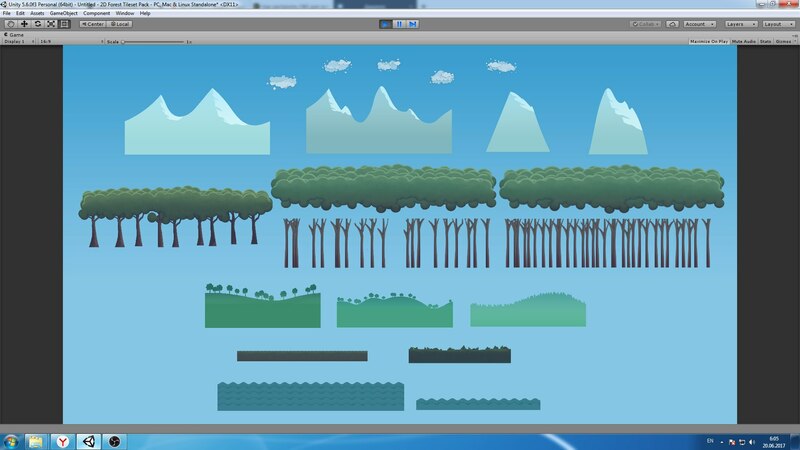 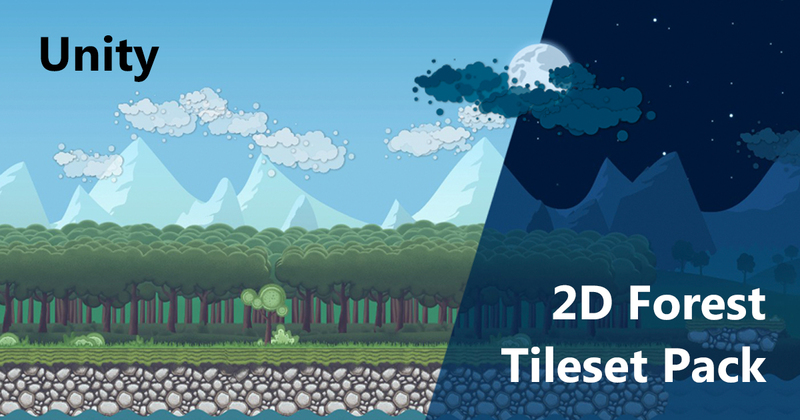 2D Forest Tileset Pack Toon Style is a tileset pack for games with ready to use Unity project (Requires Unity 5.6.0 or higher). 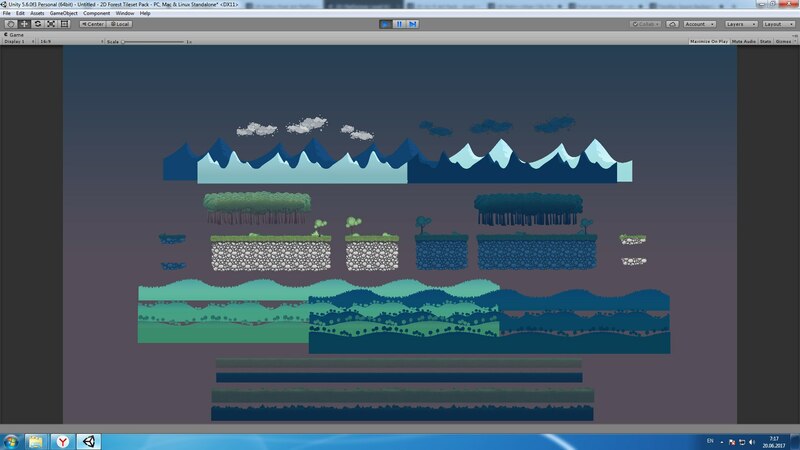 Anyway, you can use just sprites (.PNG), wich also included, with any game engine you want. 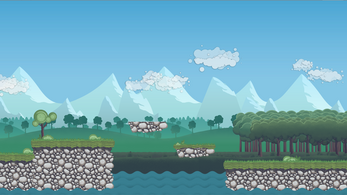 Pack includes 50 backgrounds, blocks and platform tiles for day scene, and 50 for night scene. 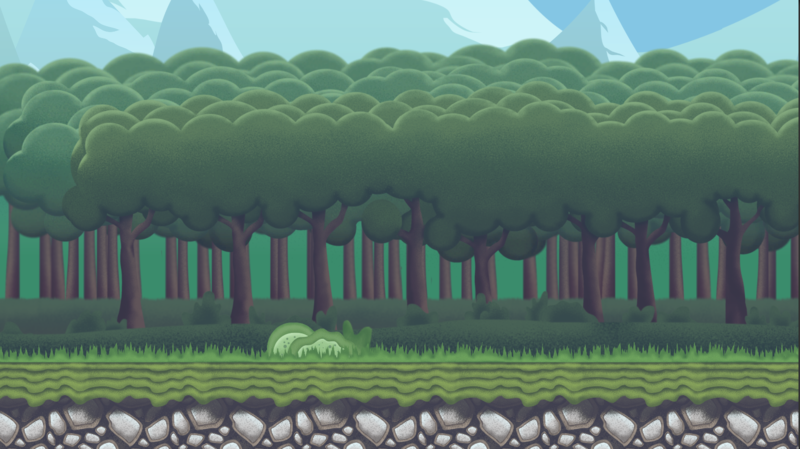 Each one hand - painted in unique bright cartoon style - great for platformer or adventure game. 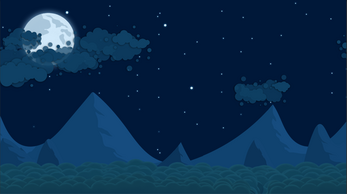 Also, chek our Patreon Page for more cool stuff with sweet prices. 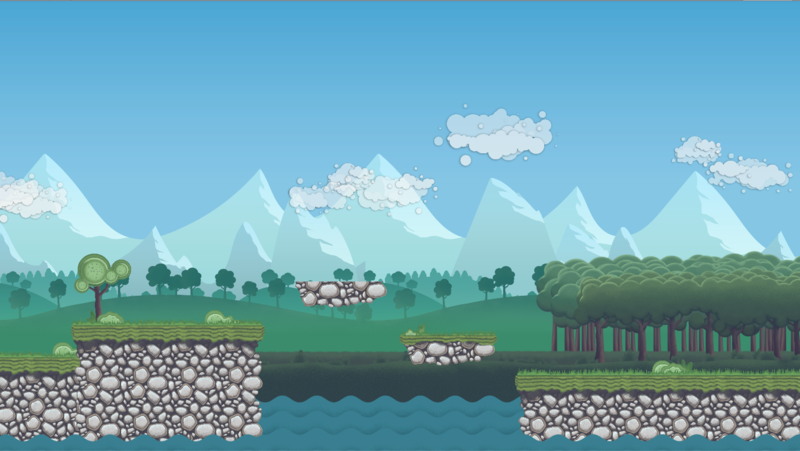 44 Backgrounds and detail (such as clouds). 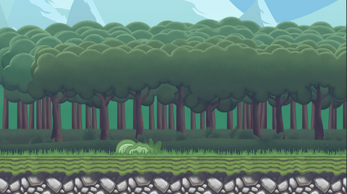 30 Tiles for ground and platforms. And 16 prefabs for both day and night scenes to save your time. 2 demo scenes included. Feel free to mail to dinv.info@gmail.com if you have questions or need any help.